The beautiful game has thrown up some wonderful stories over the years, with football being more than just two teams on the pitch. Sheer euphoria greets every match in stadiums across the world as the drama, excitement and tension goes into overdrive on and off the pitch. It can often boil over as the passion and desire to win becomes too much, particularly when two rivals or big clubs come face-to-face. Even the managers can do things entirely out of character and enter themselves in football folklore as a result, but the unique quality that continues to keep the sport alive is just how unpredictable it is. Football is more than capable of producing the spectacular, the unexpected and controversial moments that are never forgotten, and although games can be decided by those who remain calm and composed like playing blackjack on an online casino such as Lucky Nugget Casino there are many incidents which will forever remain unforgettable for the right or wrong reasons. 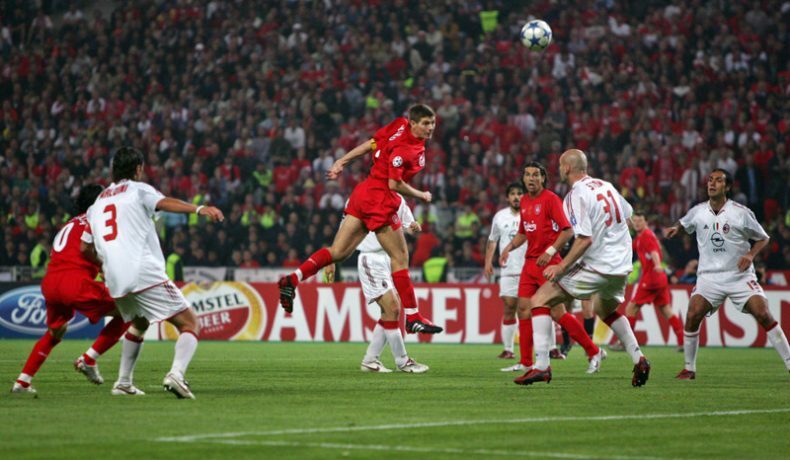 The Champions League has seen some wonderful finals over the years, but many would struggle to top the 2005 Final between Liverpool and AC Milan in Istanbul which will live long in the memory. AC Milan were blessed with an array of world class players such as Cafu, Paolo Maldini, Kaka and Andrea Pirlo, and although the glory days appear to have come to an end at the San Siro, there was no denying their strength. It certainly told against a Liverpool side who had knocked out Juventus and Chelsea in previous rounds to reach the Final, with AC Milan racing into a three-goal lead in the first half. Maldini’s first minute header was followed up by two strikes in the space of six minutes from Hernan Crespo just before half time to put Carlo Ancelotti’s side firmly in control. It was beyond the realms of possibility that Rafa Benitez’s team would find a way of pulling back such a big deficit, but they found divine intervention from somewhere to make a remarkable comeback. Three goals in five minutes from Steven Gerrard, Vladimir Smicer and Xabi Alonso brought Liverpool back from the dead as the game turned into a cat-and-mouse affair. AC Milan found the character to regain a dominant hold on the game in extra-time, but Andriy Shevchenko was denied by a superb double save from Jerzy Dudek. 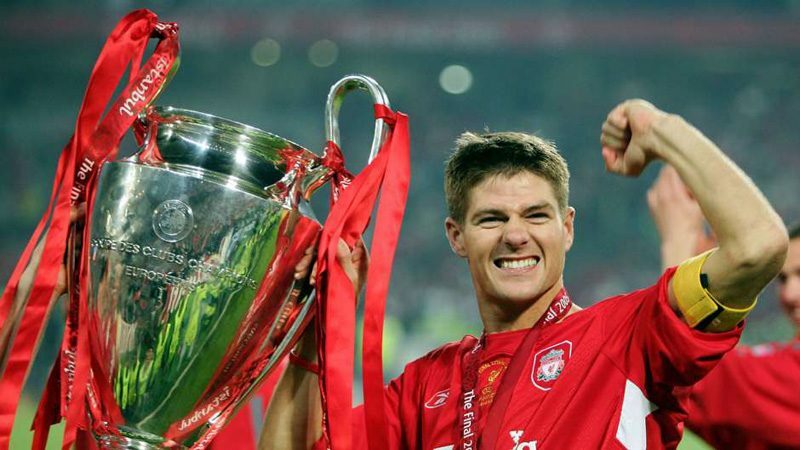 It was almost written in the stars that Liverpool would complete their astonishing turnaround, with Serginho, Pirlo and Shevchenko all missing penalties as Liverpool won their fifth Champions League trophy against all the odds. As a player and a manager, Paolo Di Canio has always lived life on the edge. The fiery Italian was unquestionably a supremely talented footballer, with Di Canio always going from the outrageous to the sublime. His fabulous scissor kick goal for West Ham against Wimbledon deserves to be ranked amongst the best goals in Premier League history, but Di Canio will always be remembered for a moment of controversy during his time at Sheffield Wednesday as his fiery temperament reached new levels. He got involved in a heated exchange with Martin Keown following an incident between Patrick Vieira and Richie Humphreys which saw a number of players get involved, and after being shown a straight red card by referee Pau Alcock, Di Canio showed his displeasure at the decision by pushing Alcock to the ground. The fall was perhaps comical, but the incident landed Di Canio an eleven-game ban and £10,000 fine as one of the real mavericks of football made headlines for all the wrong reasons. Pressure is part and parcel of football, but it can often boil over during the latter stages of the season when teams are fighting for the title or battling to survive the drop. Lucky Nugget Casino have made a blog about it to show that meltdowns are more than likely to happen in football than they are whilst losing on a table, slot or card game, as it can even happen to the best of us. Kevin Keegan is certainly a prime example, having led his Newcastle side into a two-horse race for the Premier League title in 1995/96 along with Manchester United. Keegan was renown for his honesty and passion on the touchline and during interviews, but after Sir Alex Ferguson made reference to his belief that the teams that Keegan would face, such as Leeds and Nottingham Forest, would not try as hard against Newcastle as they would against Manchester United, it was enough to send Keegan over the edge. 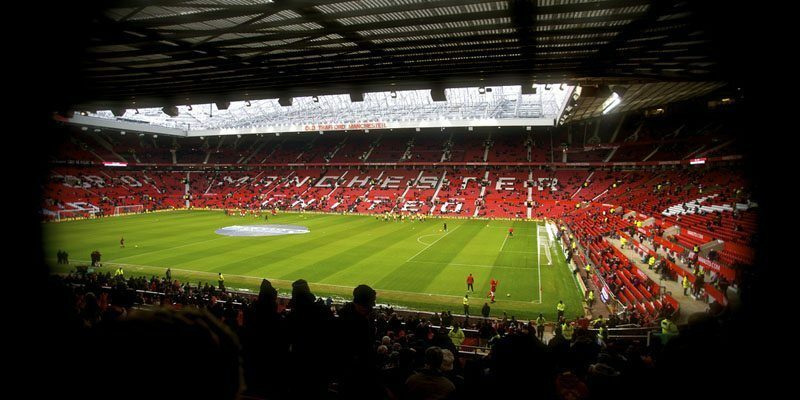 He certainly did not hold back during a live interview with Sky Sports after his team beat Leeds, stating that Ferguson showed a lot of disrepest and came out with the famous line “I will love it if we beat them, love it!” in reference to his team pipping Manchester United to the title. It was a psychological battle that Keegan ultimately lost, as Ferguson and United went on to win the league. The FA Cup is unquestionably the most prestigious domestic cup competition in world football, with lower league and non-league clubs across England having the opportunity to progress through the competition to put themselves up against the Premier League big guns. It creates a tournament in which absolutely anything is possible, with upsets and giant-killings making for wonderful stories for clubs who not only benefit financially from winning the tie, but also the publicity that goes with pulling off a shock. Hereford proudly hold a 44-year record as the last non-league team to knock out a side from the top-flight of English football, with Newcastle facing the ignominy of losing against a club who played their football four tiers below them in the Southern League. The Bulls, with Colin Addison as player/manager, managed to secure a 2-2 draw at St. James’ Park before which set the stage for one of the greatest shocks in FA Cup history. Malcolm McDonald opened the scoring for Newcastle with just eight minutes to go in the replay at Edgar Street which had more mud than grass on the pitch, but a 30-yard wonder goal from Ronnie Radford just three minutes later sent the game into extra-time. It was left for substitute Ricky George to become a hero, with his low driven shot in the 103rd minute sealing a memorable victory for Hereford and a memorable moment in the history of the FA Cup.